3. Send targeted traffic to the squeeze page. 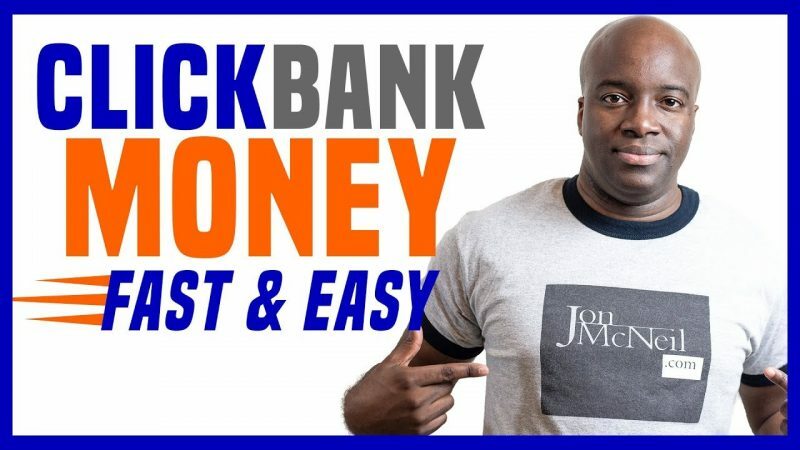 This video will give you the fastest way to make money with clickbank for beginners. Take action on this and most of all be consistent and you’re reap the rewards. Sir, teach me how to get an online job in a simpler way. Excellent! Great information to begin putting in motion! Great, I will try this, you were very understanding and talked slow! Hi, do we have to give the solo ads sellers an ad copy? Great stuff Bruh!! You just gained 1 more sub 🙂 You explained everything so simple and easy to follow, just my style, so thank you. Quick question, the template you used for that email optin page, where could I get something like that? I already have a ClickFunnels account though its all new to me as Im still navigating my way around. Thanks again man great content glad I found you. "How is ClickBank gravity calculated? ClickBank calculates the gravity amount using a weighted sum method. ClickBank adds between 0.1 and 1.0 to the gravity total for every affiliate that has made product sales within the last 8 weeks. ClickBank determines the specific amount within the range, but more recent affiliate sales are given a higher value"
SoLo ads are a waste money. Hey, I know you're one of Dan Brocks, former deadbeat students. I have to say this though. Why don't you ever mention one important factor in email marketing? That you just can't send people the one email promotion after the other. It has to be a mix of content and relationship building and some promos. Otherwise, you'll burn your list real fast. because people don't want to be sold on stuff. So telling your viewers just to scrape some vendors emails swipe, that consists only of promos, it can really hurt their email campaign if they don't know what they're doing. So while your intention might be good that is really dishonest tactic what many teachers do because they don't really get to the nitty-gritty of the system which can let people astray. Sorry, but I had to say it. hey Jon, in my last campaign (which also was my first), I spent 400$ sending traffic to this landing page using google ads over the period of a couple of months and received about 100 new subscribers, but out of those people, only 2 people ended up buying the clickbank product I was promoting for a grand total of 50$ earned… can people really make a PROFIT by direct linking to a clickbank product right after they opt in? Arent people going to spend more on ads than the profit they will make? Have you PERSONALLY made this work for yourself? Ive heard that most click ban affiliates lose money on the first sales, but make a profit by sending future offers to that list of buyers?Not trying to sound like im bitching or someting… Just trying to learn, thx a lot for the vids! Really appreciate it! I just watched a video by Paolo Beringuel that seems to follow the same script as this one. Can you tell us the best email service to use with what ever auto responder we use so double opt-in emails will not go to there spam folder, therefore possibly loosing that potential customers. Reason I am asking, because I have had that problem by using free Gmail! with a couple differnt ones like getresponse aweber. I hope you understand what I'm saying? Thank you for any help on this subject! You know what your doing so I'm sure you can help! Your content is the best Jon!!! Hi Jon, how do you deal with the new GDPR laws when people sign up via your squeeze page? Any free method for buying Ads from udemy? Hey Jon, love your stuff and its such clear instruction. I'm doing a free give away at the end of Oct to my students and was wondering if I could interview you over zoom? Sorry not showing how to make money. There are 1000s of videos on YT that all show the same thing. Picking a CB offer and choosing a traffic source. What do none (and I do mean zero) show? The actual *results*. Money is made (and lost) once you start spending money, tracking keywords and landers and optimising campaigns. These videos should be called 'fastest way to get started with clickbank and solo ads'. So what if the people who opted in through your landing page also bought the product your promoting? Will you send them those email swipes as well? How can you tell if they already bought or not? Good evening. I'm somewhat new to affiliate marketing. I'm in the process of promoting an affiliate offer from click bank using a squeeze page on click funnels. I was wondering, if we need to integrate an autoresponder for click funnels. I need to get the click funnels squeeze page and the affiliate offer's funnel to work together. (My offer has a video on a sales page) all I need is the squeeze page and email list. Is there a way to see my email list once I've built it over time?As for the automation section when customizing my squeeze page(on click funnels), how do I link leads to the offer(how does the squeeze page lead to the affiliate offer link)? Great video sir! What else is needed after you pay the initial money to use clickfunnels? Is it an all in one software or am I going to have to spend extra cash to maximize the software? Like the autoresponder.. I have contacted most entrepreneurs on YouTube, each one tried to send me to subs to their course and nothing worked, I need a mentor who can teach me a legit way to make an online passive income and save my life. It is either a big lie or they just wanna collect money, email address or traffic and sell a silly course. So who is gonna help me? Just another question regarding the follow-up emails. How do stop sending follow-ups to people who have purchased the product already? hello bro, did you make money exactly doing this? because i want to do it to myself, by investing small money for paid traffic. Why is this the easiest way? How do you know? Wouldn't making YouTube videos be easier? Hi I'm trying to start affiliate marketing but I dont know the list of programs I need to install to start up , is it possible that you can lead me in the right direction.Thank you. So how many click bank products do you promote at anyone time ? Your presentation of the subject-matter is highly effective & attractive.As a newbie for solo ads method , please tell me where and how the solo ads are advertised? Nice video. What email service do you use? I tried to Purchase the Auto Profit Daily, and it's not available anymore!!! One of the most straight to the point tutorials I've seen. You make it seem easy. One thing.. gravity isn't really a marker of conversion rate. Everyone just picks from the first page or two, but there are gems to be found if you dig a little. For example, I'm promoting a product called unbreakable confidence in self help/dating niche, and it converts better than anything else I've promoted. So, a product with a gravity score of 2 can convert better than a product with a gravity of 200. Also, the product with the gravity of 200 is going to have a lot more competition, as well as people who have set up little "review" sites to try to snipe your commission should the potential customer decide to do a little more research. Great content! Very rare to come across someone genuinely trying to help people make money online. Super valuable information! I'm finding that a lot of those make money programs are scams. I dont want to ruin my reputation as a marketer for sending someone a link to a garbage product full of fluff. Is there a similar solution for another niche? What tool are you using to make these PIP videos (Picture in Picture) videos? Subscribed. I’m ready to get started. Its asking for a domain name.how do I make a domain name? That was great information, thank you very much for your time and detailed information. Excellent video. john, which funnel is this? Hey man are you actually making money buying those solo ads from Udimi? Hi John , thank you for that great video. I'm I just getting into sales. I have a cheap product that I wanted to basically give away. To get emails. Do you think I could offer this product, get the email, then send them to a affiliate offer? And maybe the affiliate offer is in the same niche.. Thanks for this video, I've been looking for this for a long time. Just had one question. Do the ad sellers on Udimi create the mailer they send to their list for you or do you have to create one? Do you need a business email first? Solid video. Thanks for the great walk through. Glad I found it! What do you think? Revenue on the site must come from five different payment methods. John thanks so much for your very practical, easy to follow information even I could comprehend. I just got a bit confused at the end where you returned to vendors sales page to follow up on emails, then you transfer those to an automated message responder page which I can't figure out how or where to create? Very well laid out Jon. You didn't forget that you were teaching as well as selling. Do you have a website or a blog that you sell Clickbank products from? I am trying to get all of these pieces to come together. 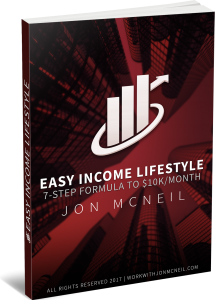 Hi Jon I was about to finish the sign up process for clickfunnels and at the bottom of the start my free trial button it said afterwards I will be billed $297 per month! That’s entirely to much! What’s another option? How do you make a squeeze page? Yes, I really liked this video and how you put it step by step what to do. It's easy and simple. I am going to do mine today. This is a game changer. Thank you for doing this valuable video. hi, Jon, I am very interested but his it free to join and get an ID from Clickbank and are their hidden charges that you have to pay for using it. Hey Jon! Fast and easy ways of making money?! Great information! I’ve been super busy lately & your quick & easy way was definitely a time saver! Thank you! Whose really making money off of clickbank as a newbie anymore? Did it work for somebody? Can someone share their experience? Mine is a RC blog. What types of product should I promote? Great job with this lesson Jon, very comprehensive!